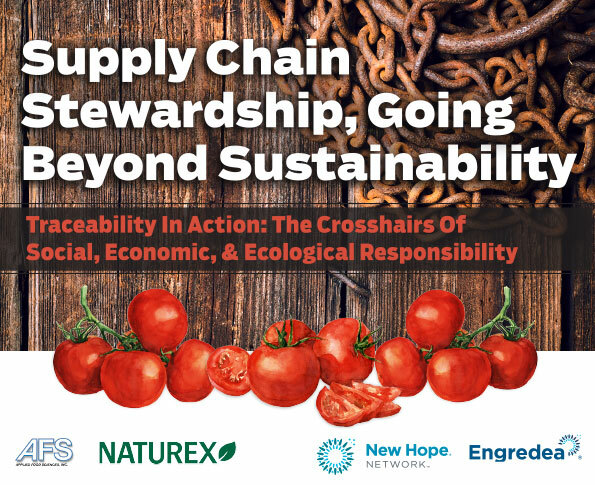 The concept of "stewardship" may seem like an esoteric or cutting-edge noun to the supply chain, but to the consumer it is an increasingly important verb—a corporate ethic—characterized by social, environmental and ethical accountability. In today's market consumers want quality products with healthy ingredients produced with a values-driven mindset; not because it’s en vogue, but because it’s the right thing to do. In this exclusive eGuide, we explore how these commitments translate into action and real value to both ecology and the bottom line.